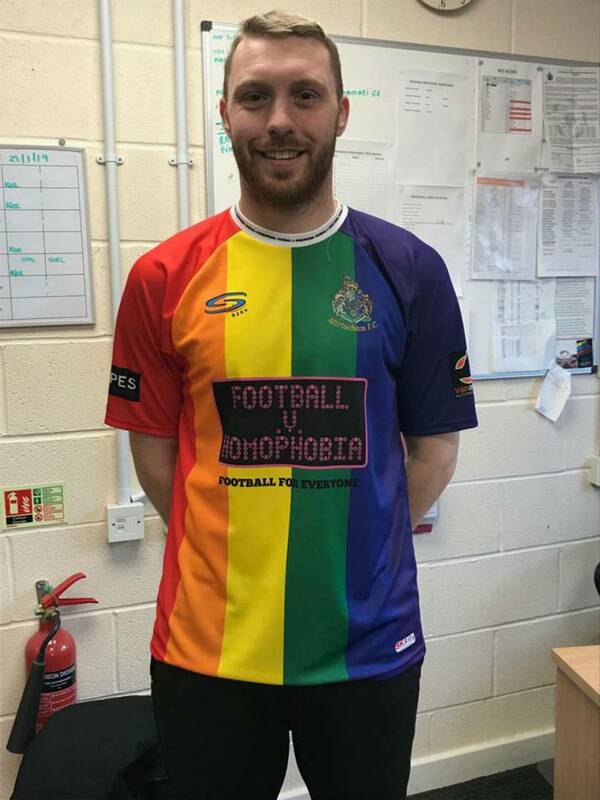 A British football club has traded in its usual outfit for a one-off LGBT kit to show its commitment to creating a welcoming and inclusive environment in football. Altrincham FC revealed the rainbow-striped kit in a picture posted to Twitter, confirming the team would be donning the new threads for an upcoming match against Bradford. The decision specifically coincided with February's Football vs Homophobia month, an initiative organised to challenge discrimination against sexual orientation and gender identity in football. The team "will be creating a small moment of football history," Altrincham FC director Bill Waterson said in a statement on the club's website. "To us, it's a big statement," he continued. "Altrincham Football Club are (sic) committed to creating a welcoming environment for all who attend our games, and our support for Football v Homophobia is part of this commitment." 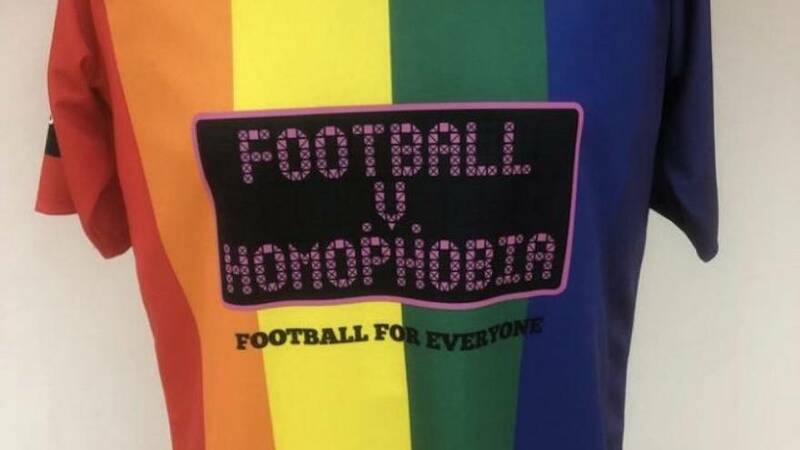 In response to the team's announcement, the Football v Homophobia initiative tweeted its support for the new kit. "It's absolutely brilliant! Great work Alty," it said. Altrincham wasn't the only team to show its support for the cause. The Surrey County Football Association tweeted a video of one coach training with a rainbow-striped ball. Football v Homophobia month coincides with LGBT history month in February.